The Shoe Bird Café, named after Eudora Welty's only children's book, The Shoe Bird, is Belhaven University's coffee shop. It is centrally located on the first floor of the McCravey-Triplett Student Center. The Café is open to students, faculty, staff, on-campus visitors, and members of the public, especially those from the Belhaven neighborhood. 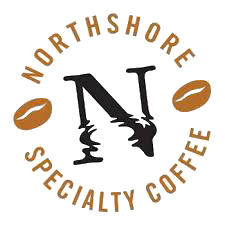 All of the Shoe Bird’s hot coffee drinks are made from freshly roasted beans by Northshore Specialty Coffee. Fresh pastries and cookies are baked both house and by the award-winning La Brioche Patisserie. The Café also serves kombucha provided by Cascade on Tap and cold brew coffee from Mississippi Cold Brew. All of these companies are located in Jackson, and Belhaven University is proud to support these local businesses. The Shoe Bird Café serves drip coffee at the lowest prices in the area, with a cup starting at $1.00, and seeks to serve the campus by competitively pricing all of its products. Additionally, the Café prepares espresso drinks such as lattes and cappuccinos, specialty teas, and iced drinks. The Café is committed to serving food and drinks with no preservatives and no artificial colors or flavors. The Café sells various snacks, such as croissants, muffins, cookies, and vegan granola bars. For any questions about the Shoe Bird please contact Doug Eltzroth or Guillermo “Billy” Salinas at shoebird@belhaven.edu or at 601-968-5912.